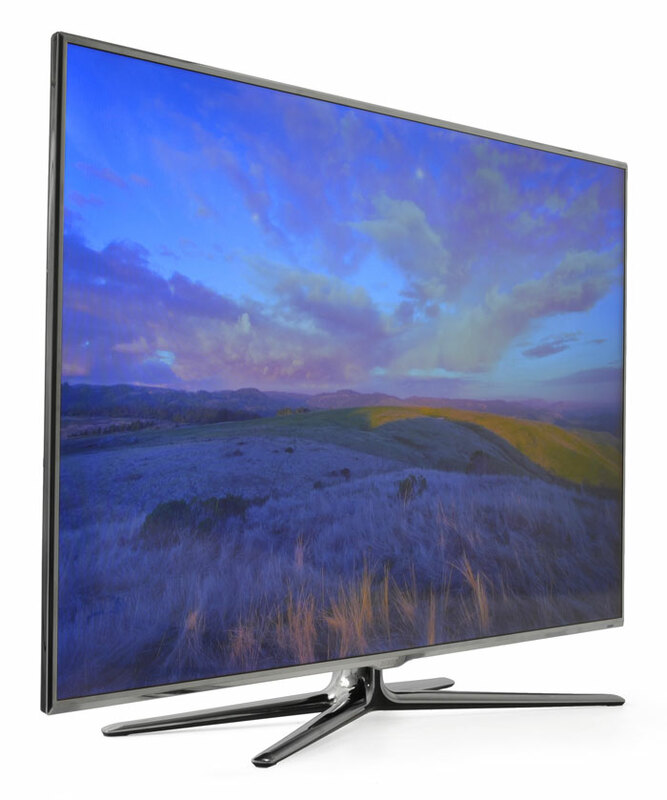 There’s nothing else quite like the UN60D8000 TV and its barely visible bezel. The TV makes a big visual statement whether it is turned on or not. 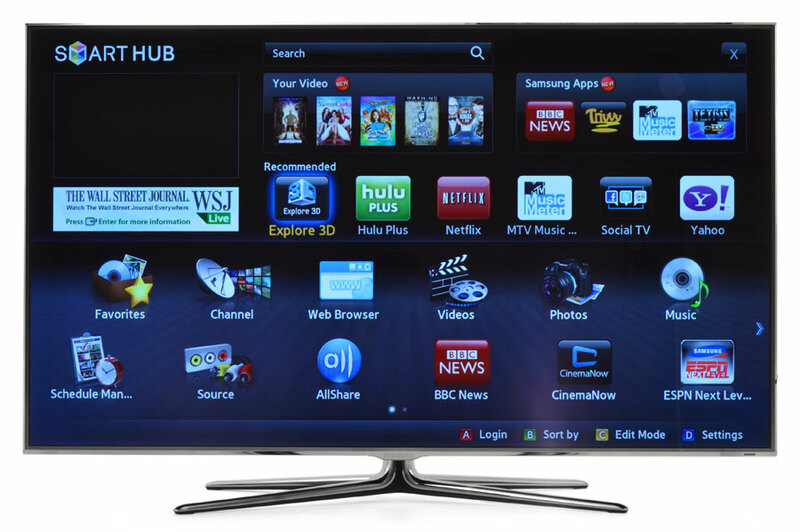 Samsung D8000 series information: The following review of the Samsung UN60D8000 LED TV is based on our hands-on experiences with the 55-inch UN55D8000 set. The observations made are applicable to the other sets in the D8000 series including the 46-inch UN46D8000 and the 65-inch UN65D8000. 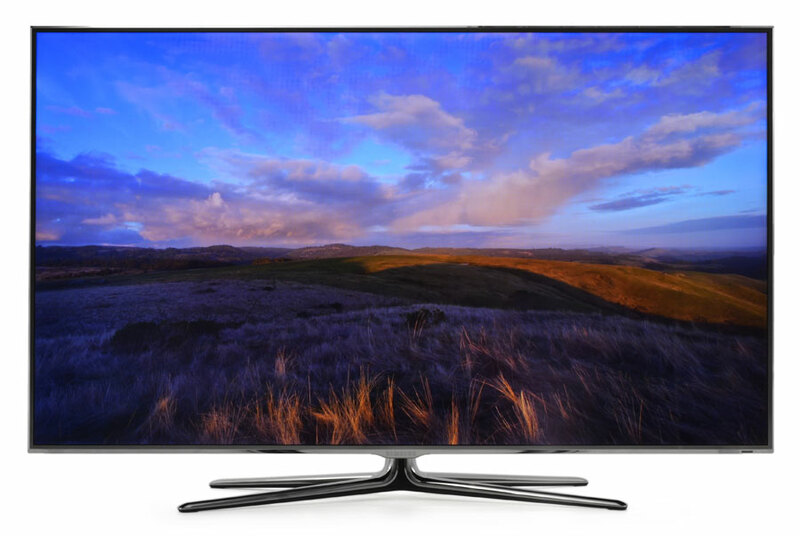 According to Samsung, the TVs in the D8000 series have identical specifications (except for weight and dimensions) and performance should be similar. That being the case, you might be wondering if the D8000 is a legit performer or just another tarted up piece of eye candy with hidden flaws just like everything else. Read on to find out what we think after spending some quality time with the UN60D8000 from Samsung. The UN60D8000 weighs in at just 35.7 lbs. without its stand (41 lbs with) and measures 48.5 (W) x 27.8 (H) x 1.2 (D) inches. That’s right, just 1.2 inches deep. Before we set about calibrating the UN60D8000, we took some time evaluating its out-of-the-box performance. We’re used to pretty average out-of-box performance levels, with calibration yielding somewhere between very good to excellent end results. With the UN60D8000, we felt that the out-of-box picture quality was a little below par. We attribute this to the default settings for the set’s “standard”, “dynamic”, “natural” and “movie” picture modes. For all but the movie setting, the backlight, brightness and contrast settings are pretty much maxed out and the colors a bit overblown. Movie mode was more tame, but seemed a little muted and perhaps a bit foggy. While viewing Avatar we noticed some incredible texture detail in the skin of both the humans and the Na’vi. This film is loaded with different shades of blue and green and the UN60D8000 did well reproducing all of them, showing off even the most subtle differences in hue. 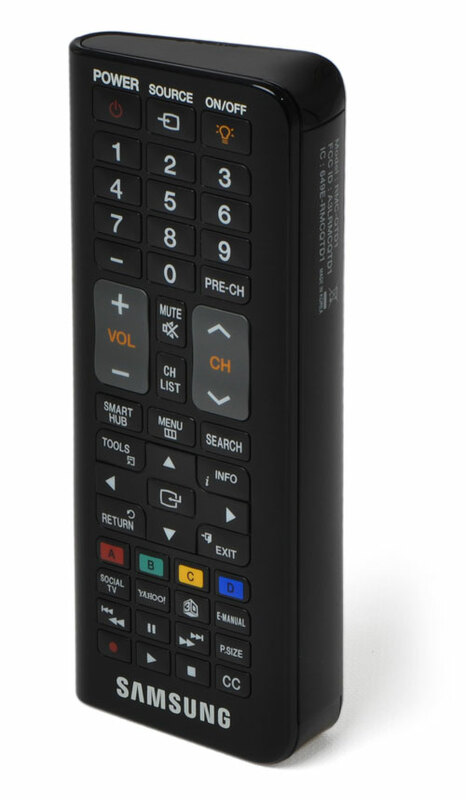 We were impressed with the UN60D8000’s superior rendering of Netflix and Hulu Plus media. The HD versions of some of our favorite TV shows looked smooth and well resolved — much better than what we’ve seen with other smart TVs. We also liked the informational interface bar which let us know that we were viewing in HD or standard definition, depending on our bandwidth at the time. With Hulu Plus, we were even able to make bitrate changes that allowed us to keep watching in HD, even though our streaming speed had slowed down. 3D performance was very good. We didn’t notice much crosstalk, which has been a problem in earlier Samsung models, and felt like color shone through the tinted, active 3D glasses. The display issued confirmations when our glasses were connected and let us know when 3D content was sensed. Though we’re not huge fans of active 3D, we did feel that the UN60D8000 provided a 3D picture with depth that was easy to come by. Often, we have to force ourselves to relax into the picture. Somehow, we felt it was just easier to watch 3D on this TV. Perhaps the bezel has something to do with it. 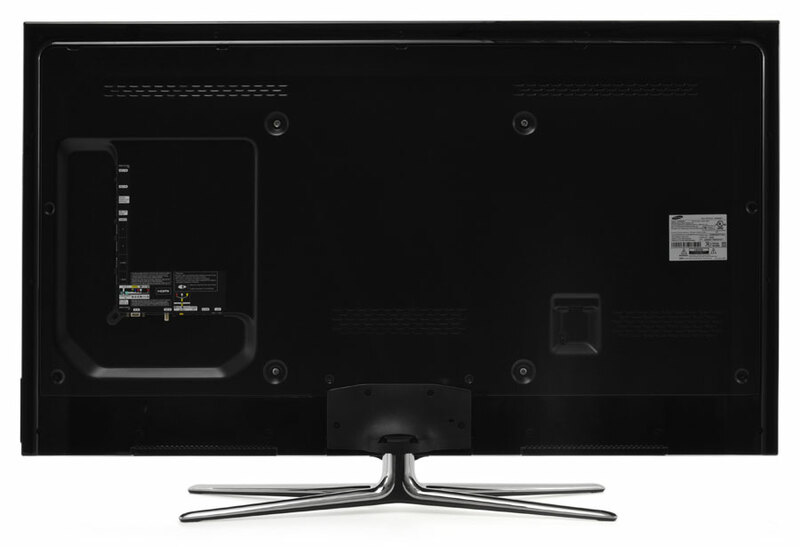 There’s nothing else quite like the UN60D8000 TV and its barely visible bezel. The TV makes a big visual statement whether it is turned on or not, and when it is turned on, the sense of depth you get when watching is a special kind of entertainment unto itself. Unfortunately, in order to make such a thin TV, some trade-offs had to be made, and one of them must have been screen uniformity. The left and right sides of the picture are clearly brighter than the rest of the screen. It’s the sort of thing that, if detected, can really stick in your craw. With that said, this TV does everything else very, very well. And with a street price living in the neighborhood of around $2,500 right now, it will likely appeal to a broad range of buyers who want top-notch features and performance in a stylish package for under $3,000.